Orion Station has been invaded by a hostile force! 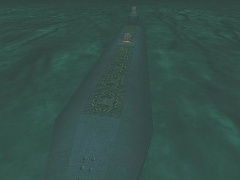 (Part-2) This is a large sized CTF and takes place in the Station Command center buildings. Good for 10-20 players. 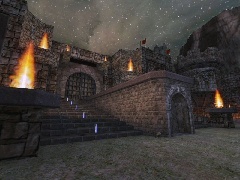 This is map originally released in the Timewarp Crew's Fate-Of-Time map-pack (FoT5) in November 2008. It is being made available now for anyone who wishes to have a stand-alone copy of the map. Enjoy! 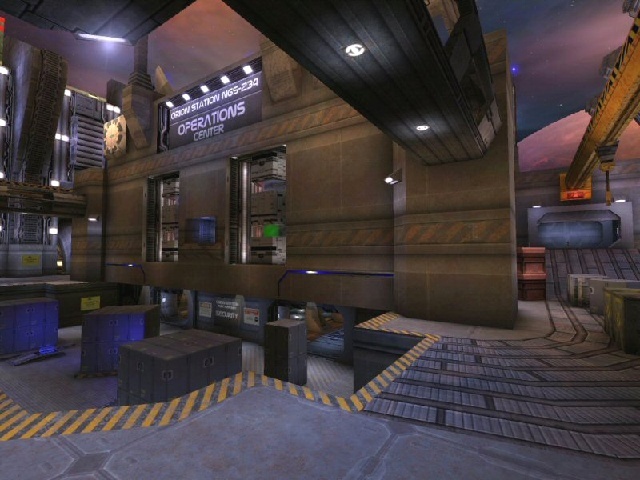 NOTE: This "repack" map is essentially the same as the original release except the UNR build contains all the BSP brushes.